Advanced medical diagnostic technologies usually found only in major medical centers are available for area eye doctors and patients alike. Insurance covers most of these diagnostic procedures and priced at the Medicare fee schedule providing low out of pocket expenses for uninsured and patients with high or unmet deductibles. The data is electronically transferred into the exam room for on screen review by the physician in the presence of the patient and transmitted into the electronic health record. 30 second Refractions- You may not have to answer which is better, one or two! New Blue light OPD III Refractor. Faster and more comfortable! The optomap® is used in primary level eye care for the screening of eye and non-eye diseases and disorders. 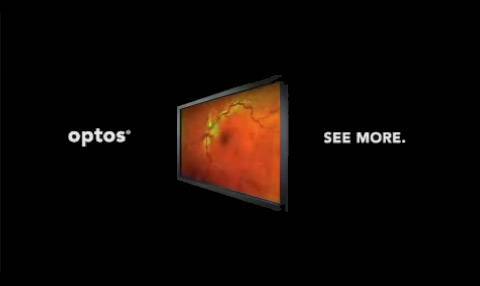 The optomap® provides the practitioner with a digital wide-field of view of the patient’s retina without dilation. Most patients presenting for wellness exams electing optomap screening will not require the inconvenience and discomfort of dilation. This is a laser retinal scanner useful for high resolution scans of the back of the eye including the macula, retina and optic nerve. The OCT allows advanced diagnosis and treatment of macular degeneration, glaucoma, retinal disease and eye tumors. This instrument provides high resolution laser scans of the front part of the eye and provides advanced diagnostic capabilities for eye tumors, lens implants complications, cataracts, cornea disease and glaucoma. This technology quickly scans the eye for HD vision prescription, night vision, pupil size, corneal shape and cataracts. You may not have to answer which is better one or two! If you do it will be only a few seconds. This technology allows for accurate assessment of neurological conditions such as stroke, brain tumors and vision disorders such as glaucoma. It accurately evaluates for central and peripheral visual field loss. 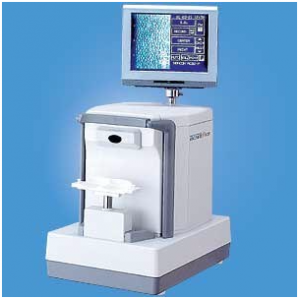 This microscope provides a corneal cell count and high resolution corneal evaluation for advanced diagnosis of corneal disorders such as fuch’s dystrophy, corneal edema and lens implant complications.